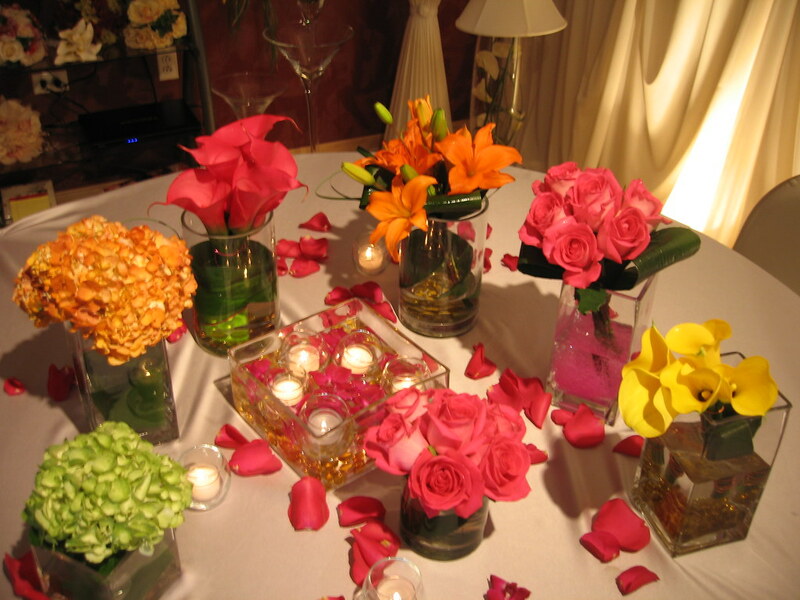 When you start planning your wedding flowers make sure that you consider Chicago Wedding Flowers Experts. 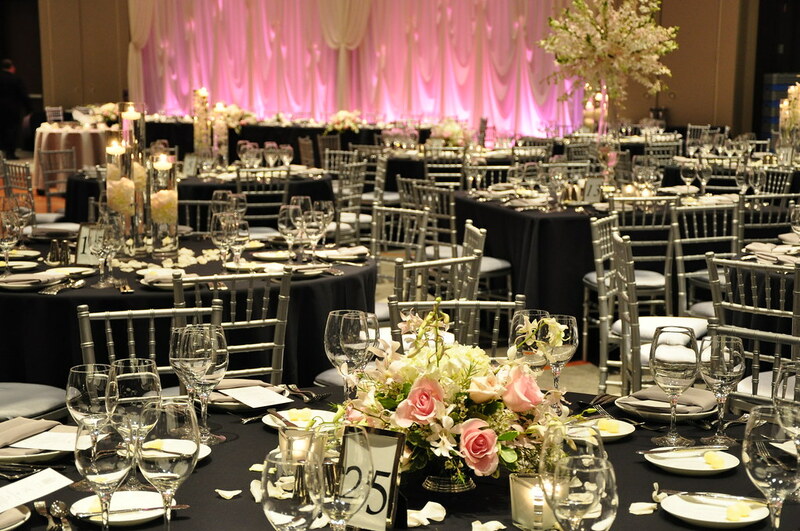 Over 10 years of our experience and professional integrity will be invaluable to your wedding. 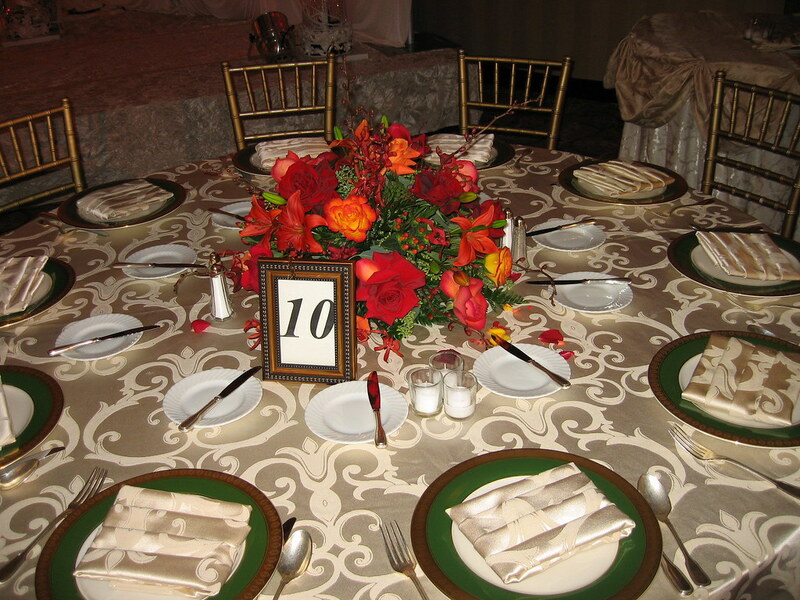 On your dream wedding, nothing can make the celebration feel more special than a perfectly set table. 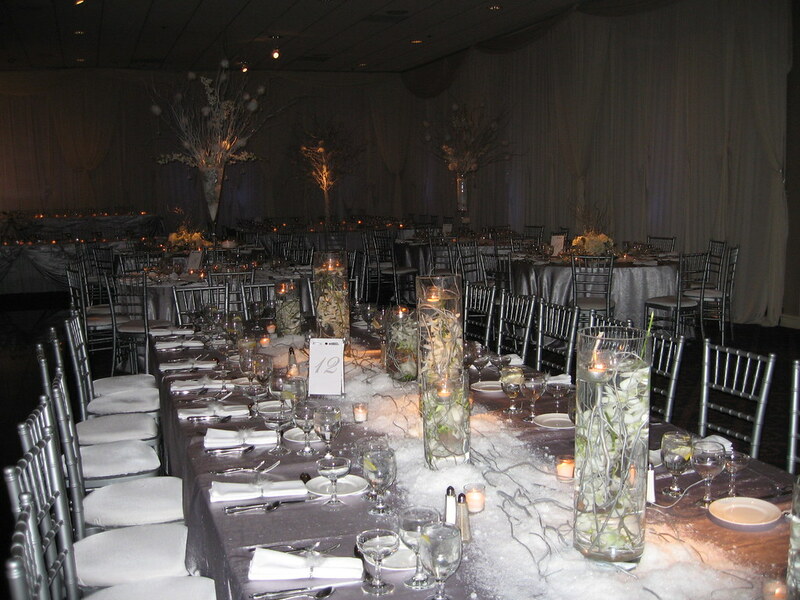 From the dishes, glassware, and utensils right down to the wedding flower decorations – low centerpieces, the mood of the event is set by the tables. 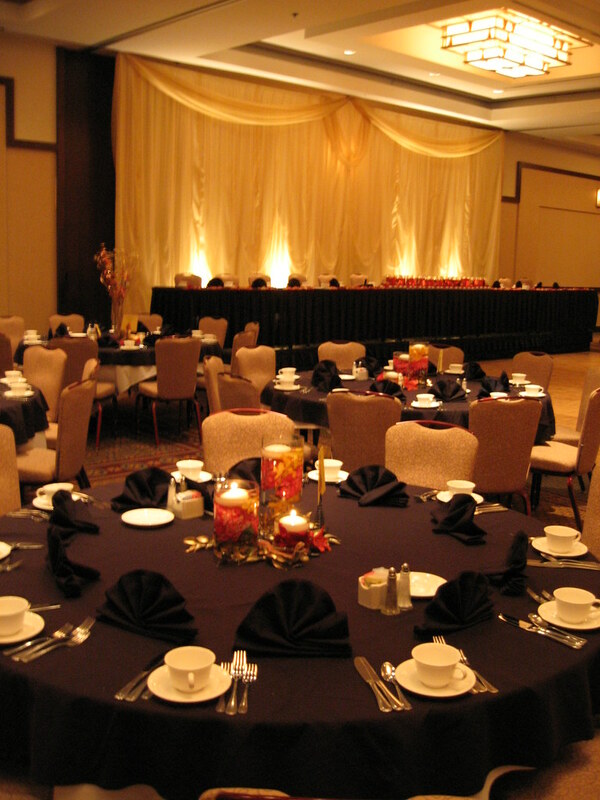 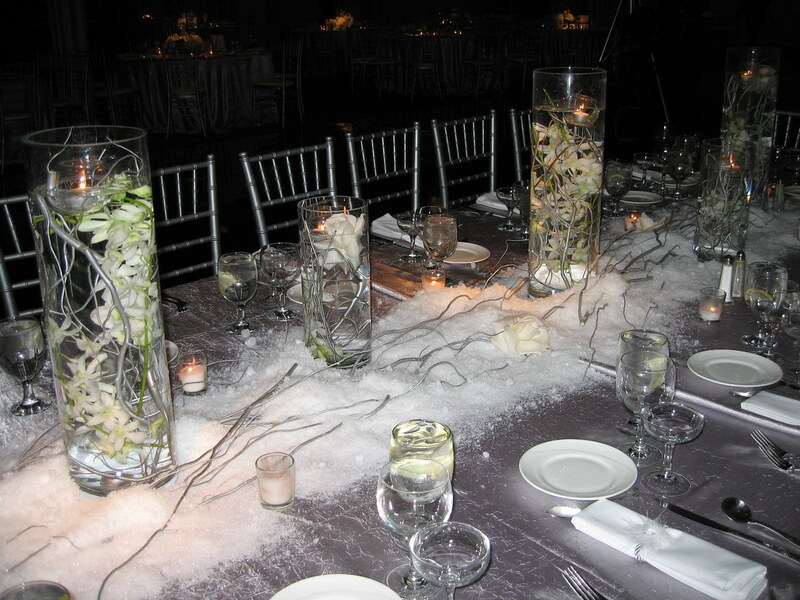 When it comes to the low centerpieces for your wedding tables you have many different choices. 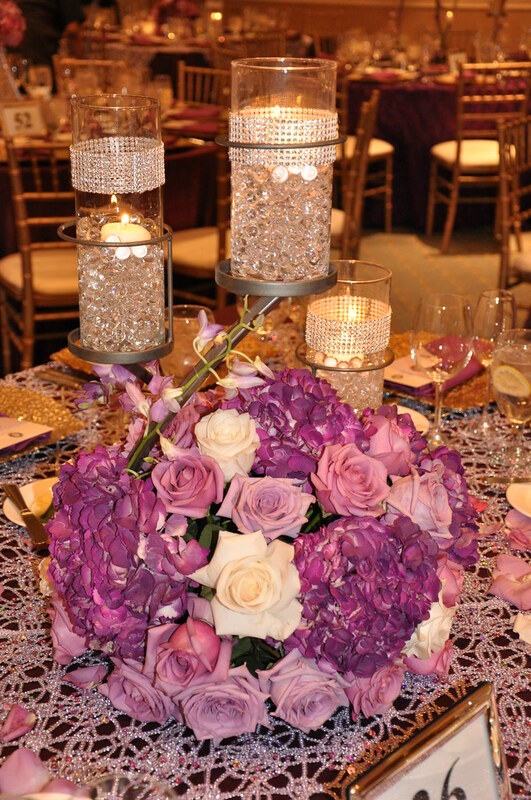 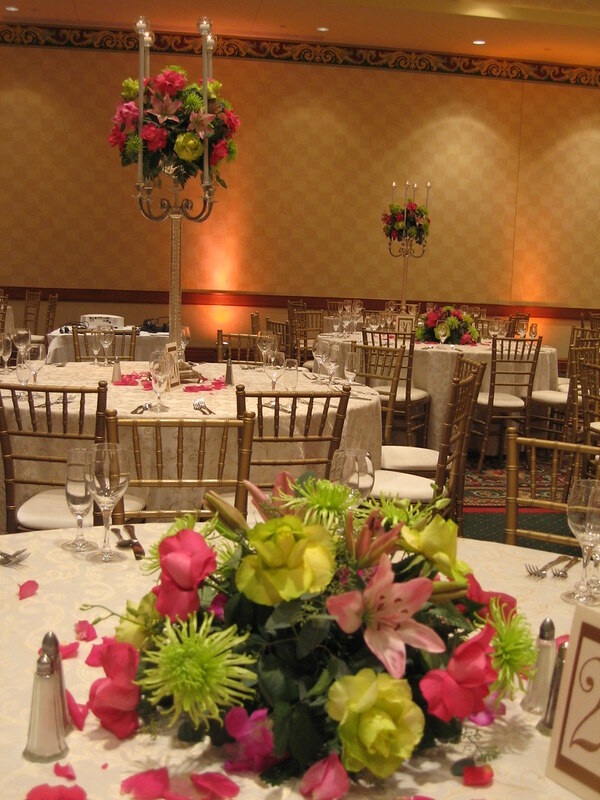 Some brides prefer the regal looks of the tall wedding flower centerpieces. 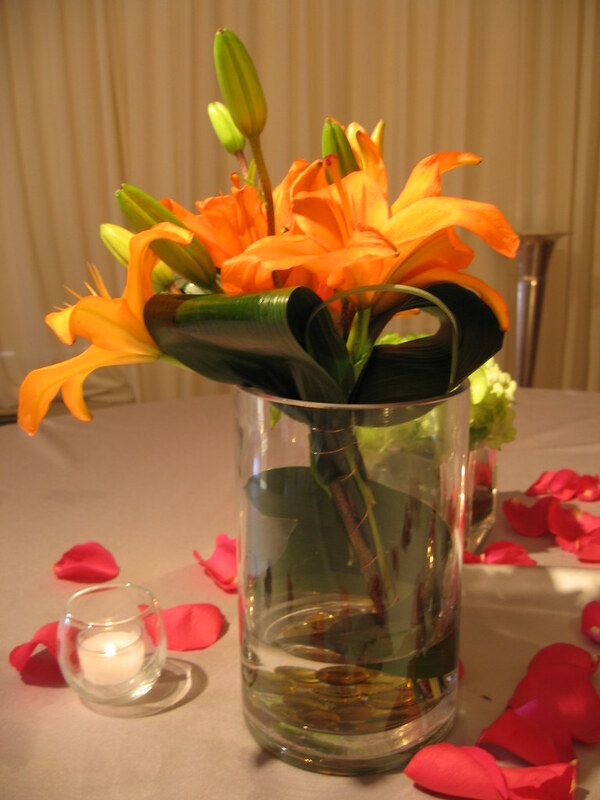 For some though they are a little too much. 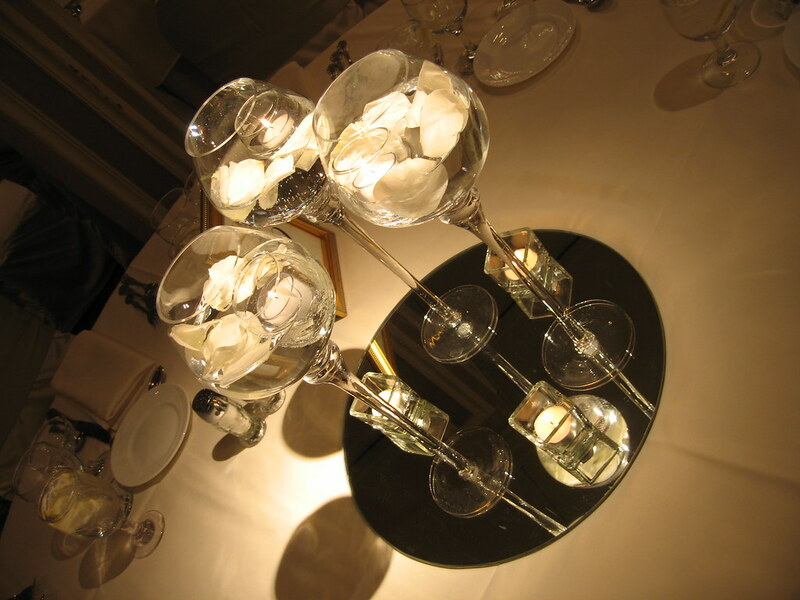 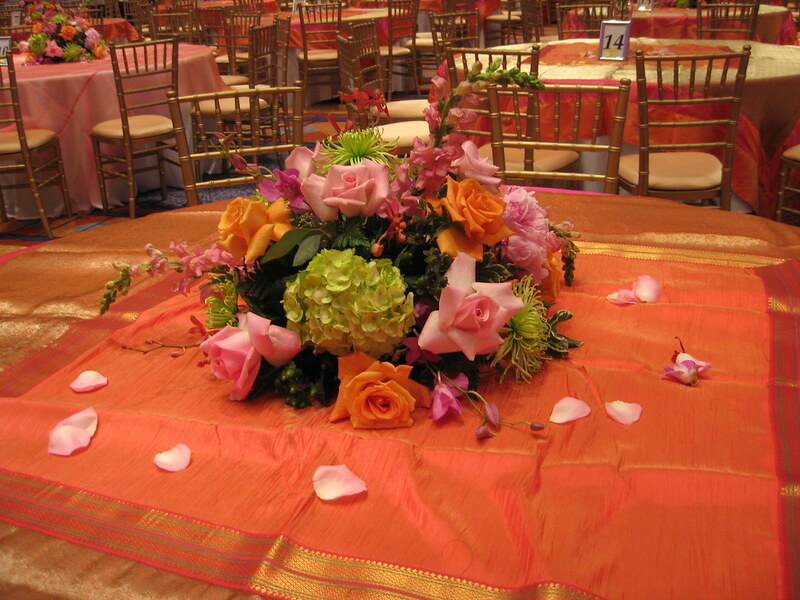 A more traditional option is the low table centerpieces flowers. 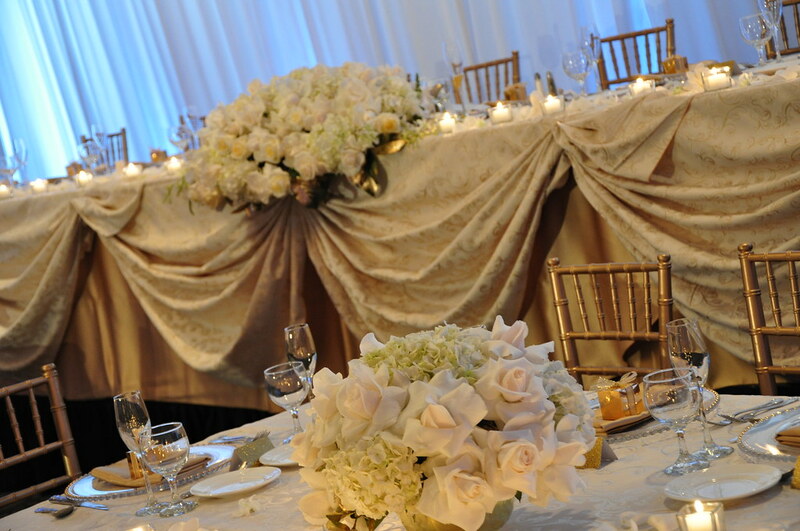 When I say traditional, I don’t mean out of date, I mean a beautiful, creative arrangement of wedding flowers that is tasteful, yet low enough that the guests won’t have a hard time conversing with each other across the table. 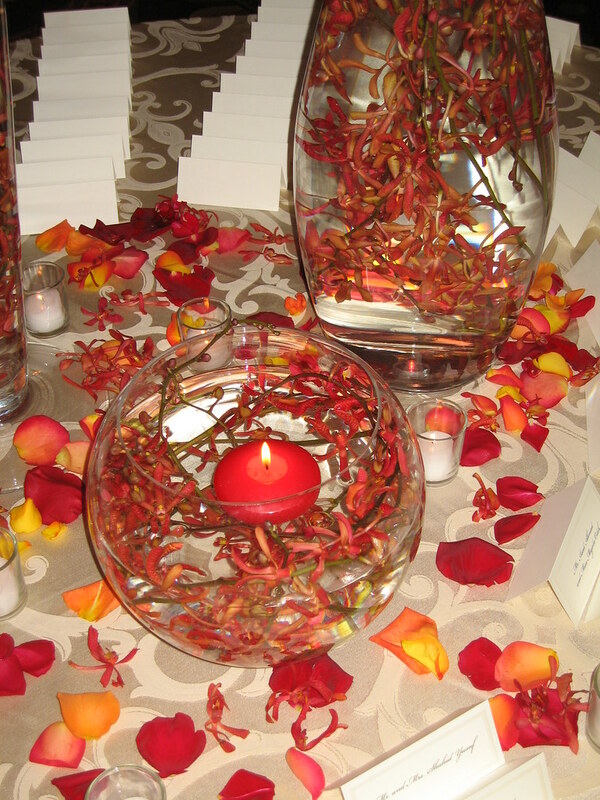 You can use a combination of flowers, candles, crystal, greenery and many other creative options. 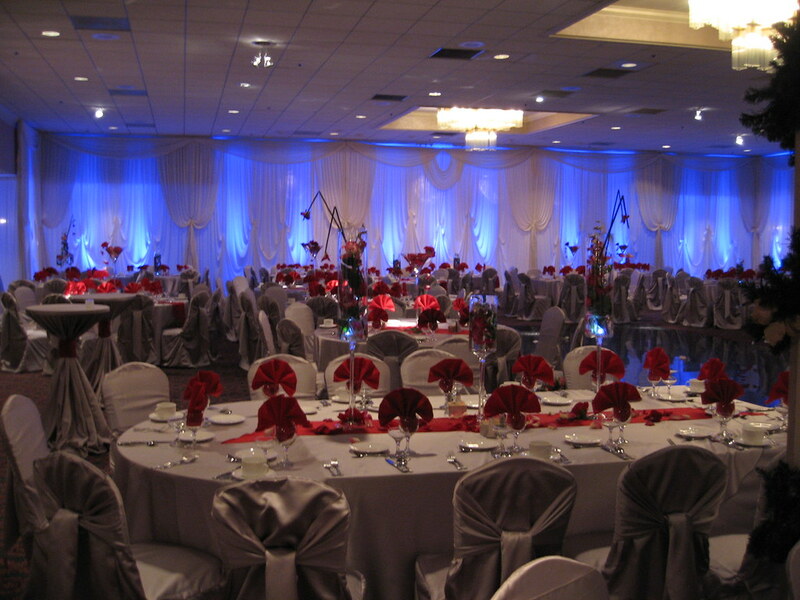 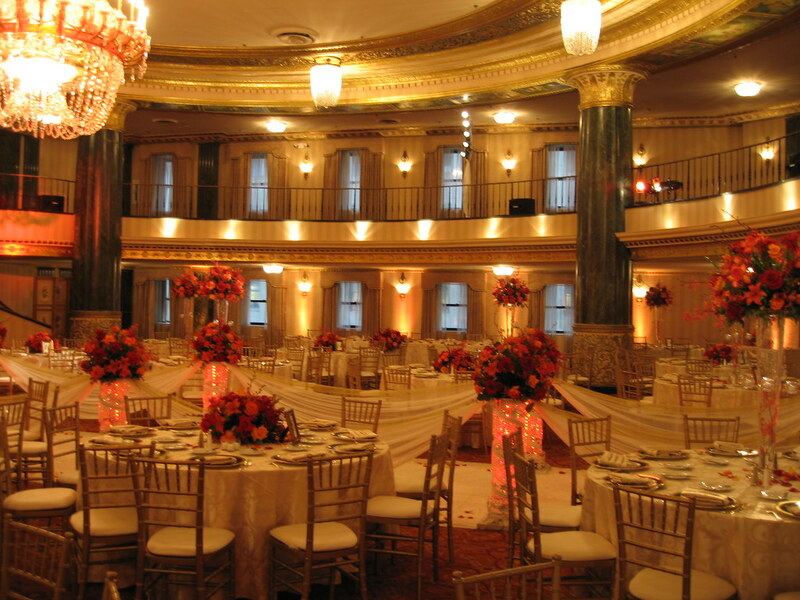 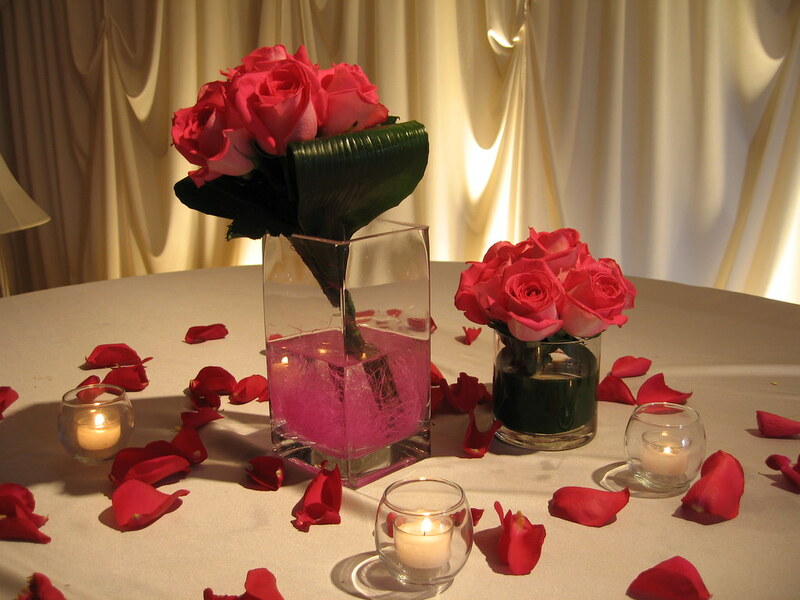 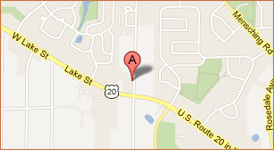 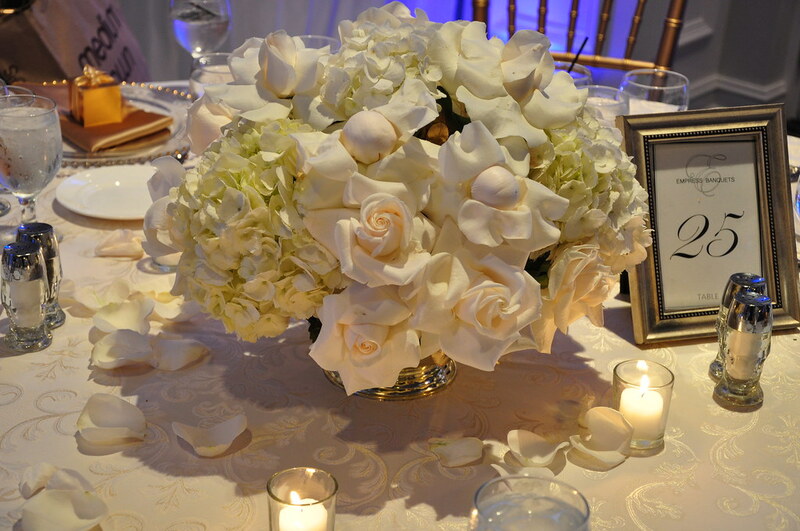 Our Wedding Florists Expert at M&P Chicago Wedding Flowers will listen to your suggestions and offer some of their own. 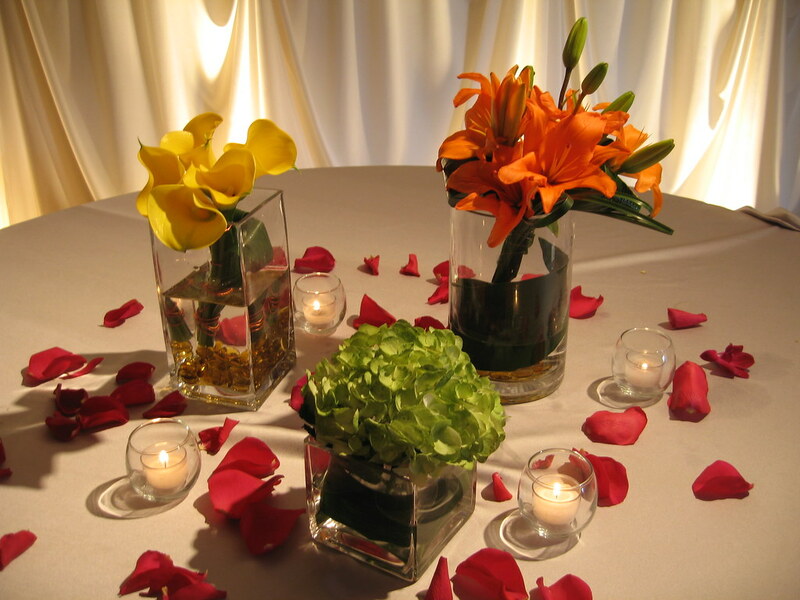 Working together you will be able to come up with some low table centerpieces flowers that are stunning and perfect for your wedding style. 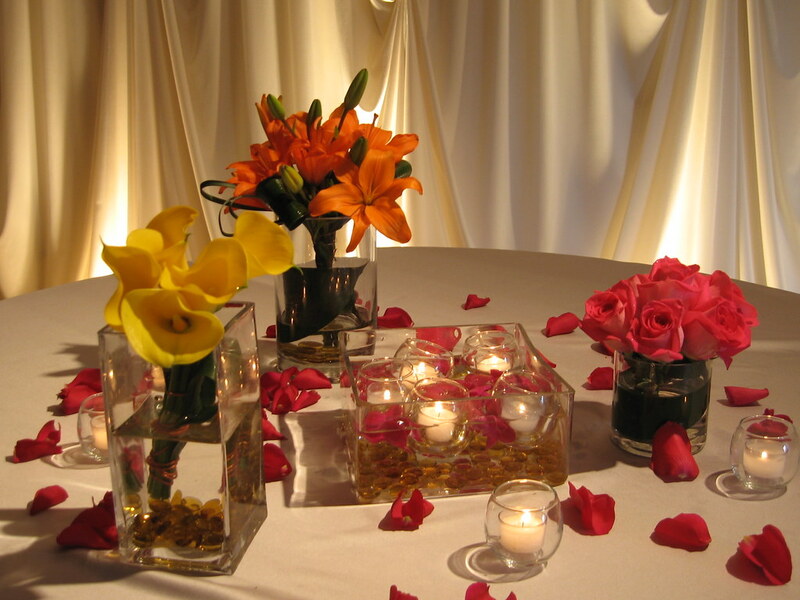 Using a variety of flowers and colors adds so much to your wedding. 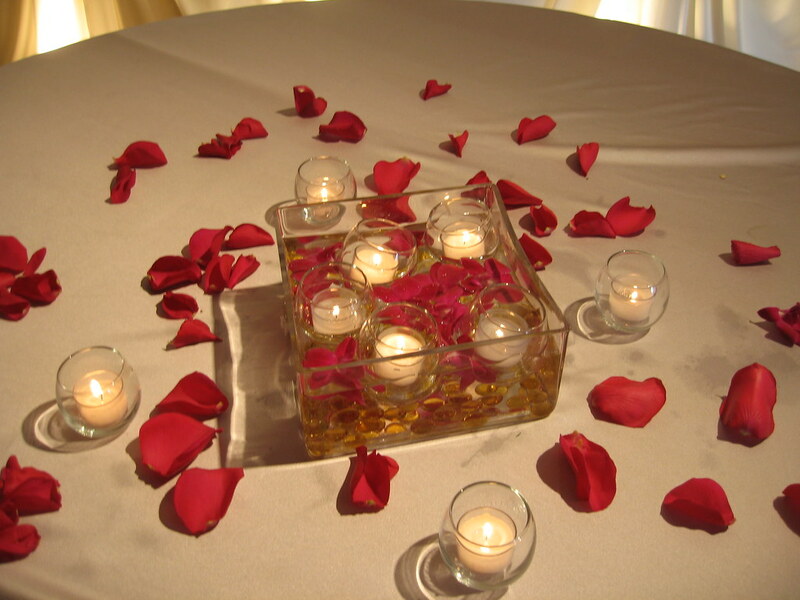 Don’t toss out something that you really want, but simply can’t afford. 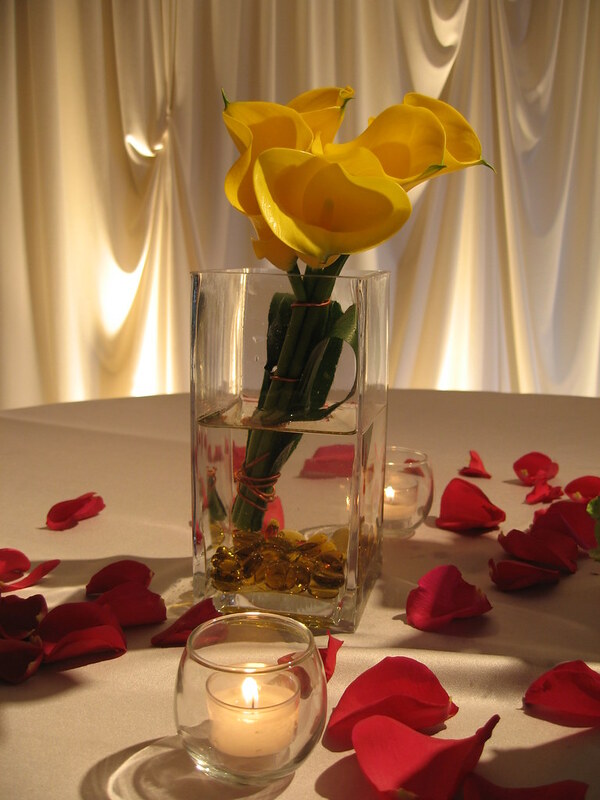 First, discuss your greatest wishes with our Wedding Flower Designers and give them a chance to totally amaze you with some of the most creative ideas that you may not have thought of. 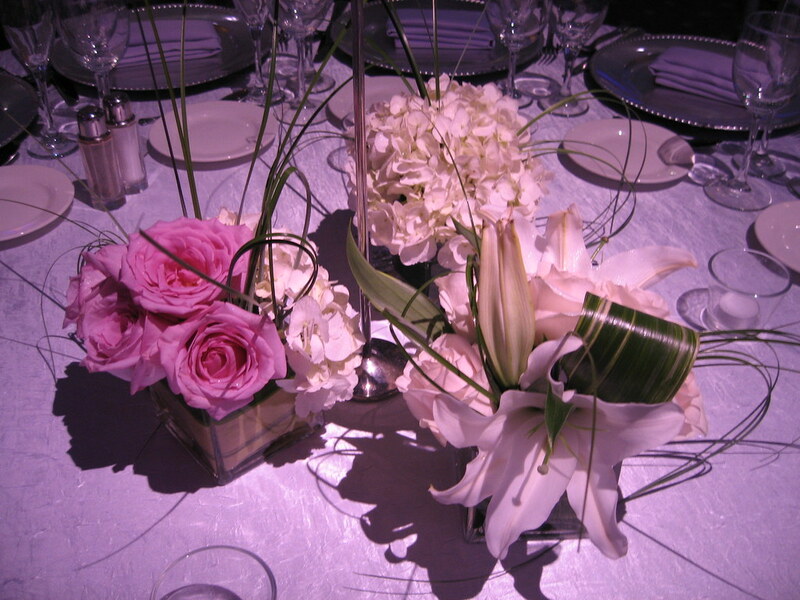 Using a different flower might save you enough to put that money somewhere else. 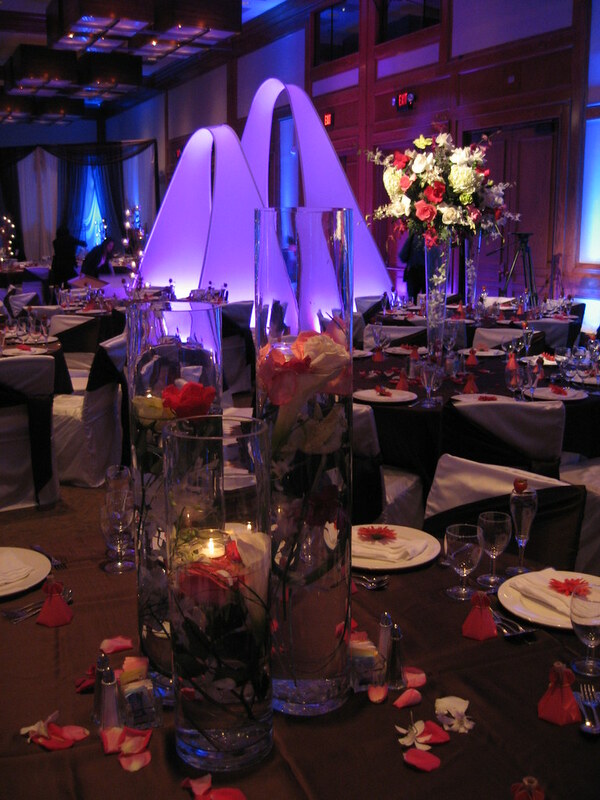 Also, there is the option of fillers and greenery, or using less flowers but adding sparklers or or other interesting effects. 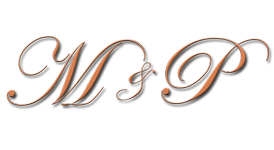 We are looking forward to the opportunity to show you what we can accomplish. 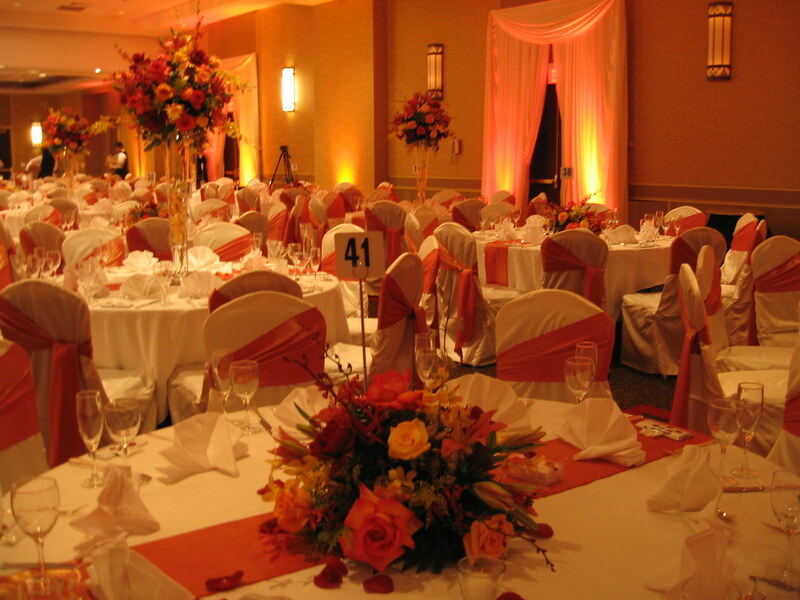 We are so sure that you will love the professional, quality beauty that we put together for your wedding that you will want to share us with your friends. 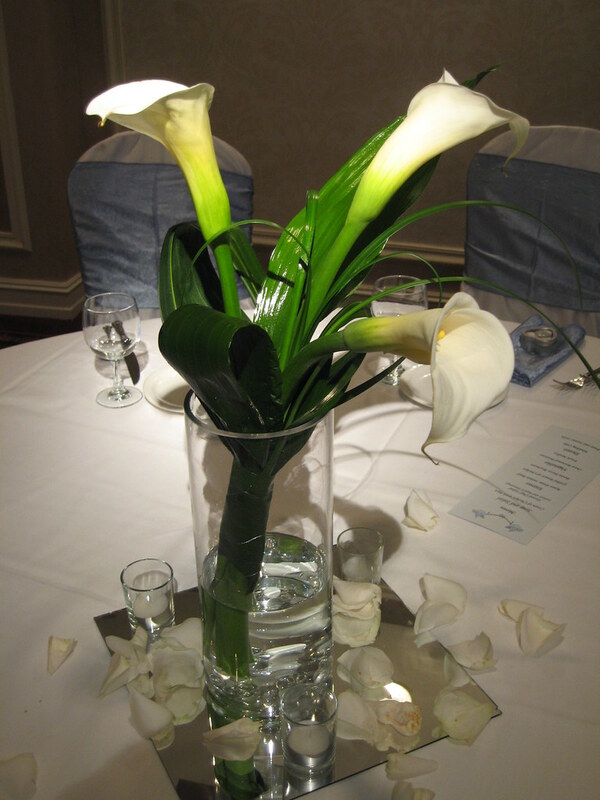 Beautiful Wedding Low Centerpieces Photo Galley.